Why are the flowers on my Fukien turning brown? Best guess? 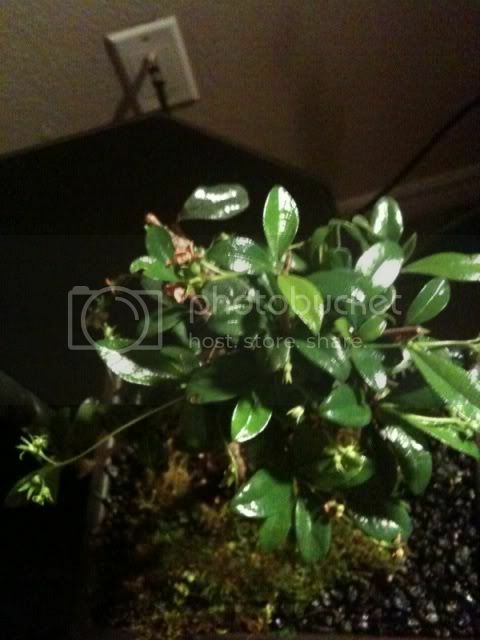 Low humidity, if it's a Fukien Tea. 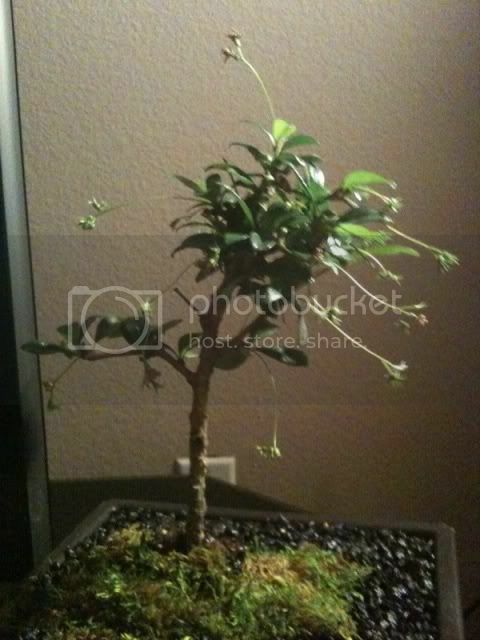 Are you sure it's a Fukien Tea though? The leaves don't seem to be lobed or have pores and I don't recall mine ever throwing huge flower spikes like that. Well, if you trim the flower spikes before it buds, you'll save the tree a lot of energy that can be redirected toward growth. Not a bad idea for Fukien Tea anyway since the flowers aren't particularly exciting (or fragrant, really). Do I clip the whole stem or just right behind the flower leaving the stem? Its not ignorance. I just went through evry page of Paul Lesniewicz', Indoor Bonsai on the topic of how far back to prune flower buds on fukien tea. My copy had nary a word. If I couldn't stir up an example of how its done by search, asking others is what is left to do. Your inherent; its not broke, I won't fix it, is also a resonable first step to take awaiting a pending answer. FWIW figs shed their leaves for lesser reasons than going outdoors. My TX ebony are sure it must be a tabascoan winter, out doors right now. Fukien tea suffers if not given lots of light (full sun) & plenty of fresh moving air (circulation). Is yours suffering? Looks droopy. Do you have a good sheltered place where it won't scorch but still get good outdoor light? Once the flowers have bloomed, there's not much point in cutting them unless it's to prevent seeding or for aesthetic reasons. I was talking more about pinching them off as they pop up. I do have a patio that he can stay in the shade. I'll move it out there and let him soak up a little atmosphere I'll let you guys know what happens. So I clipped the flower buds off my fukien and all i can say is WOW. The plants leaves are as green as they can be and I haven't lost a single leaf.